Did you land on this webpage because you’re looking for something out of the ordinary? Do you enjoy throwing sharp blades at wooden walls with eagle-eye precision? Are you the kind of individual who knows how to sell and create FUN (aka you’re epically awesome)? 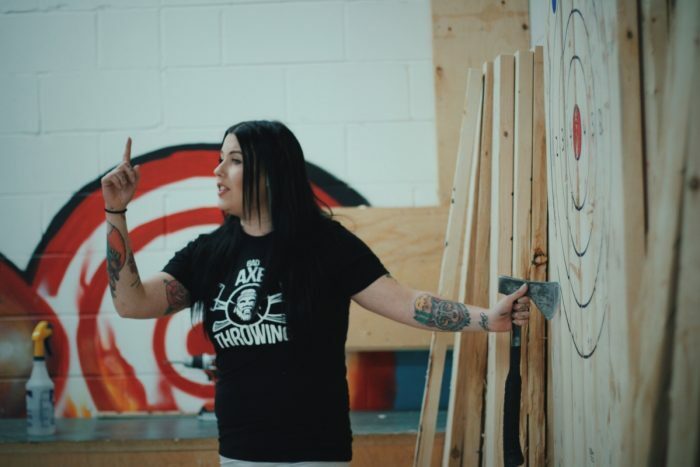 We want you to join our team in Edmonton as an Axe Throwing Coach, one of the best jobs out there. We realize this laundry list may be a bit over-the-top, so we’ll drill it down for you: we’re looking for someone who really likes people. You need to enjoy helping people, teaching people and building experiences that are all about long-lasting, gut-splitting, memory-making fun. We don’t require any axe throwing experience because for us, it’s all about the right attitude. Sounds like you could fit the bill? Keep reading. 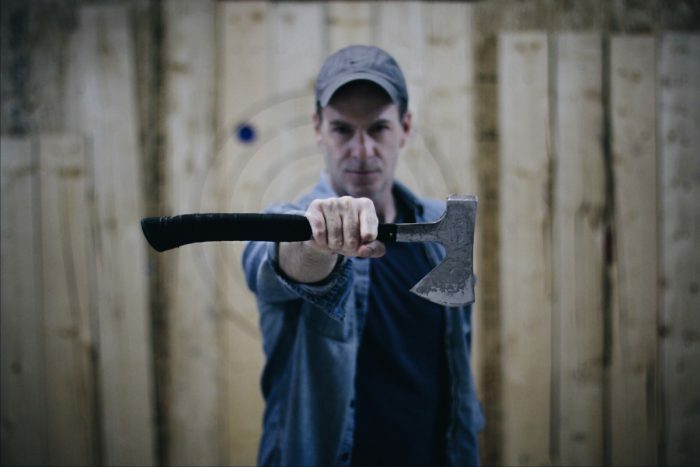 Joining the Bad Axe Throwing Team is like joining a family of megastars—we all bring something unique to the company with various talents and skills and we’re all devoted to working in a fun, collaborative atmosphere. 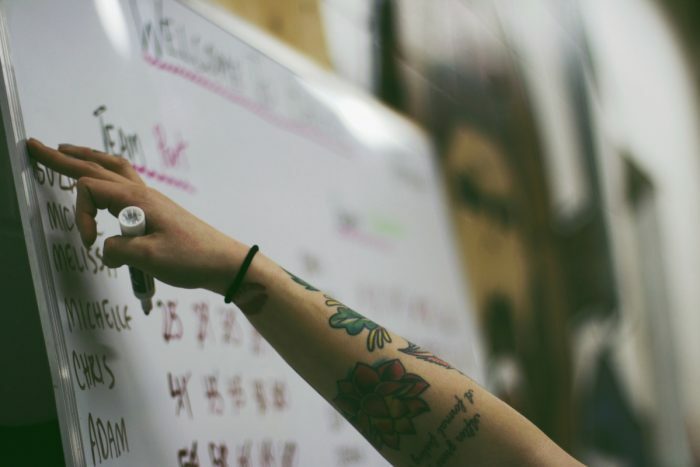 While spread across our multiple locations throughout Canada and the U.S., we’re a close-knit team who stays connected in different ways like challenging each other through our private Facebook page with axe throwing tricks. As we continue to grow our business in great cities like Edmonton, we’re searching for talented people to take us even further. To stand out among the rest, we ask that you have a passion for coordinating events. You have badass hosting skills that put you in a league of your own and you have a knack for speaking the language of fun to all—regardless of age, background or ability. Our coaches are people with unparalleled communication skills and can engage anyone from groups of feisty bachelorettes to corporate executives. To put it simply: when our customers have a good time, you’ve done the job right. Bad Axe Throwing is an event-based company that offers fun and thrilling experiences to all humans looking for a memorable time. From birthday parties to bachelor and bachelorette parties to corporate events and no-need-for-a-reason-to-celebrate groups, we cater to everybody. We first opened our doors in Burlington in 2014 and since then have opened multiple locations across Canada and the U.S. We’re Canadian-based and we enjoy wearing plaid (but we don’t make it a mandatory uniform). If all of the above sounds appealing, we recommend you take a shot at joining Bad Axe Throwing. Step out of the ordinary and come to the edge—apply now by emailing us by visiting our job board.